Why Are Soccer Balls Made of Hexagons? Knowing when to call a timeout and what type of timeout to call, can mean the difference between a win or a loss in a basketball game. Timeout rules vary widely based on the level of play and whether it's a men's or women's game, but in most situations the coach or player must choose between a longer timeout or a shorter timeout. Calling a timeout strategically allows players to get in sync before a last-second play, to psych out the opposing team or simply to gain a little rest before heading out to finish the game. The National Basketball Association, or NBA, allows for six full-length timeouts in the span of a game in addition to a single, 20-second timeout per half. The length of time that a full-length timeout lasts varies based on when the timeout is called. While confusing, NBA rules mandate that a certain number of timeouts be taken each period for commercial purposes. Any NBA-mandated timeouts last 100 seconds, while non-mandated timeouts last 60 seconds. For instance, in each of the first and third periods, the NBA mandates that there be two 100-second timeouts.Whichever team calls the first and second timeouts will automatically receive the timeout at a 100-second length. Any timeouts called in addition to the two mandated timeouts will only last 60 seconds. The second and fourth quarters each must have three mandated timeouts. When neither team calls a timeout during a period, the official scorer calls a timeout and assigns it to the home team. Similarly, if the official scorer must take another mandated timeout, the timeout will be assigned to the opposing team. In the fourth quarter, each team is limited to three full-length timeouts, and no more than two full-length timeouts can be taken in the last two minutes of the game. If the game goes into overtime, both teams forfeit all previously held timeouts and each receive three new, 60-second timeouts. As with regular game play, neither team can take more than two in the last two minutes of the game. If you're watching a televised college basketball game, the timeout rules vary from a non-televised game. Both men's and women's college timeout rules are the same. In non-televised basketball, each team receives four, 75-second and two 30-second timeouts per game. If the game extends to overtime, each team receives one additional 30-second timeout, and if they did not use their second-half 30-second timeout, it carries over into overtime. In televised basketball games, each team receives a single 60-second timeout per game and an additional four 30-second timeouts per game. Each team can carry over three of the 30-second timeouts into the second half of the game. The first timeout called by either team in the second half will extend to the time frame required by commercial advertising contracts. The women's professional basketball rules for timeouts seem much simpler than the men's professional basketball rules. Each half, each team receives a single, 120-timeout, while in the first half they receive one additional 20-second timeout and in the second half they receive two additional 20-second timeouts. In overtime, each team receives a single 120-second timeout and an additional 20-second timeout. Each team may carry one 20-second timeout over from the second half if they did not already use it. 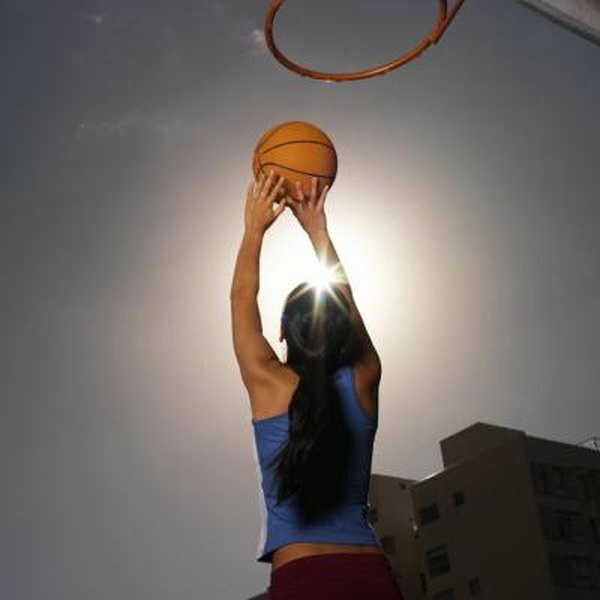 Both men's and women's high school basketball rules remain the same for timeouts. Each game, both teams receive three 60-second and two 30-second timeouts. One additional 30-second timeout is granted during overtime to each team. Is Racquetball a Good Workout?